Anonymous promises to take down any law enforcement agency in the United States that does not comply. Ferguson, Missouri — Late Sunday in Ferguson, Missouri, 18-year-old Michael Brown was shot and killed by a police officer, causing a violent protest. Over 20 police vehicles have been damaged, a gas station was looted, and additional police units were called for backup. A witness, and friend of Brown, claimed that Brown had his hands in the air when the officer shot and killed him. According to the officer, he tried to leave his patrol car when Brown pushed him back into the car and fought for his weapon. The hacker group Anonymous, known as “hacktivists,” posted on their YouTube page showing their full support, and promised any attempts to harm — or retaliate protesters — would result in a cyber attack against Ferguson city and government offices. The entire global collective of Anonymous is outraged at this cold blooded murder of a young teen. Not a week goes by that some young person, usually of minority ethnicity – is slaughtered by murderous police in the USA. For this reason Anonymous will not be satisfied this time, as we have in the past – with simply obtaining justice for this young man and his family. Anonymous demands that the Congressional Representatives and Senators from Missouri introduce legislation entitled “Mike Brown’s Law” that will set strict national standards for police conduct in the USA. We further demand that this new law include specific language to grant the victims of police violence the same rights and prerogatives that are already enjoyed nationwide by the victims of other violent criminals. The Equal Protection clause of the US Constitution demands nothing less. In April 2011, Anonymous hacked and brought down the PlayStation Network for one month, resulting in $170 million dollars lost and over 100 million accounts were compromised. In December of 2012, after the Newton shooting, the Westboro Baptist Church promised they would picket at the funerals of the deceased. Anonymous acted out by hacking the WBC’s website and released the names, phone numbers, e-mails, and home addresses of WBC church members. 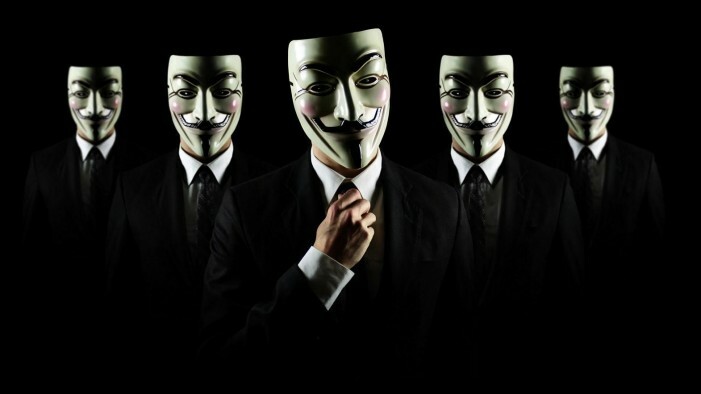 Over the last four years, Anonymous has hacked multiple major businesses’ and government agencies’ websites and databases. In 2010, Anonymous hacked Visa, MasterCard, and PayPal. In 2011, they hacked the Orlando Chamber of Commerce, Universal, and a potential attack on Facebook. In 2012, they hacked the CIA, the Vatican, and Godaddy. In 2013, they hacked the Federal Reserve and had a planned attack on the NSA after a semi-failed attempt back in 2013. A small branch of Anonymous created Lulz Security (commonly known as LulzSec), whose first attack was on Fox.com, leaked several passwords, LinkedIn profiles, and the names of 73,000 X Factor contestants. Chief Belmar and city officials would not comment on promises made by Anonymous. However, Ocala Post did confirm that the city’s e-mail database was taken offline. Anonymous has just taken credit for taking http://FergusonCity.com offline. The group promises there is more to come.